Barnes Common is a conservation area and the road is like a country lane. The council is so keen to retain the original setting that there aren’t even any yellow road markings! When the Cunninghams bought their heritage home ‘Ivy Walls in 2007 they were keen to restore the property to its original splendour. However, this entailed knocking down extensions and even demolishing one of the carriage gateways to accommodate a skip. “The whole front garden was a mess – totally destroyed,” recalls Mr Cunningham. But they were determined to transform the frontage’s muddy chaos to look stylish and natural, in keeping with the area and the original building. “This is a conservation area and the road is like a country lane. The council is so keen to retain the original setting that there aren’t even any yellow road markings,” explains Mr Cunningham. In addition, Barnes is fairly low to the Thames and the local council is concerned about flooding. 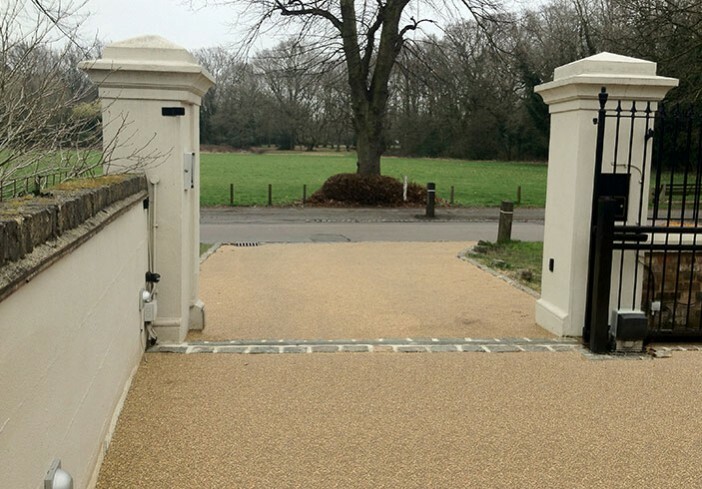 To comply with the Sustainable Urban Drainage Systems (SUDS) regulations and satisfy the council, the driveway had to be porous. 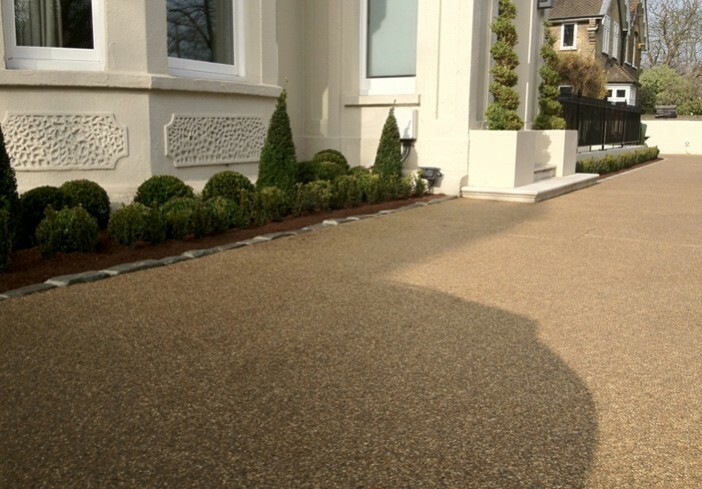 Work on their home completed, the Cunninghams needed a driveway to meet all these criteria – quickly! 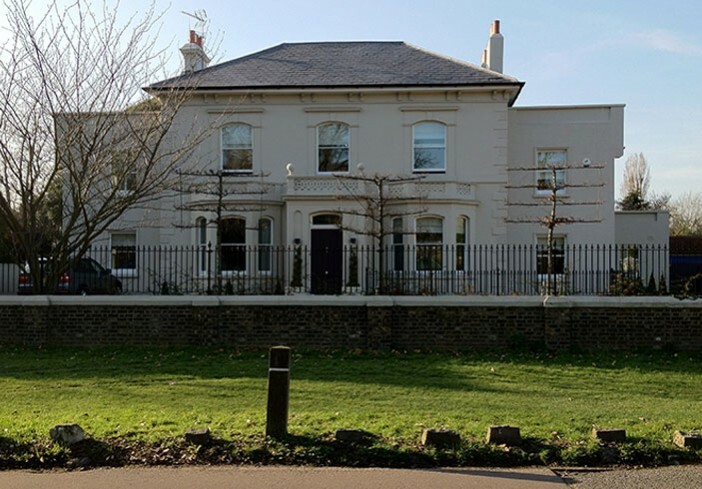 It seemed that, having spent two years gaining planning permissions and renovating, this rather special and loved residence – the Cunninghams’ are only the third owners since 1850 – was being let down by a scruffy drive. 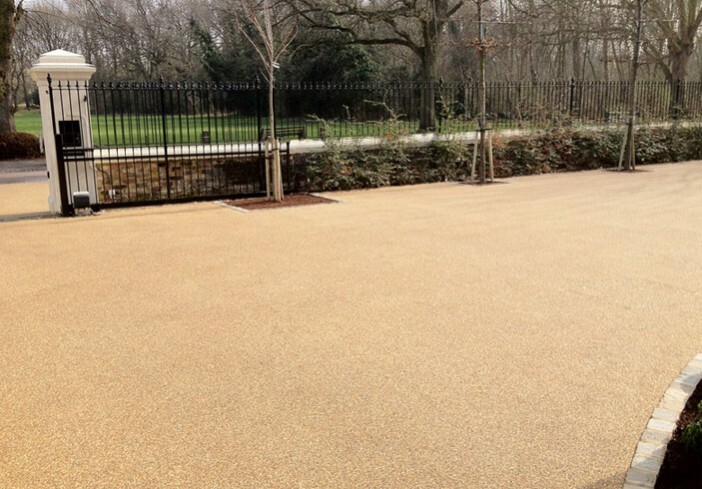 They were thinking about replacing the drive when they visited a friend in Richmond who had resin bound paving laid. Impressed by its attractive and clean looks they did some research. During the works the Clearstone team were fantastic: “they kept mess to a minimum and ensured that we had easy access throughout,” explains Mr Cunningham. Whilst the paving was being laid, the council inspector turned up unexpectedly to check the permeability of the paving. Clearstone Sales & Techical Director Andy Forsey turned a hose onto the paving and, seeing the water drain away with no puddling, the inspector was satisfied. The Cunninghams are delighted with their new drive that complements their home and blends in with the leafy country-like lane in Barnes. Project: 1850 residence in conservation area. 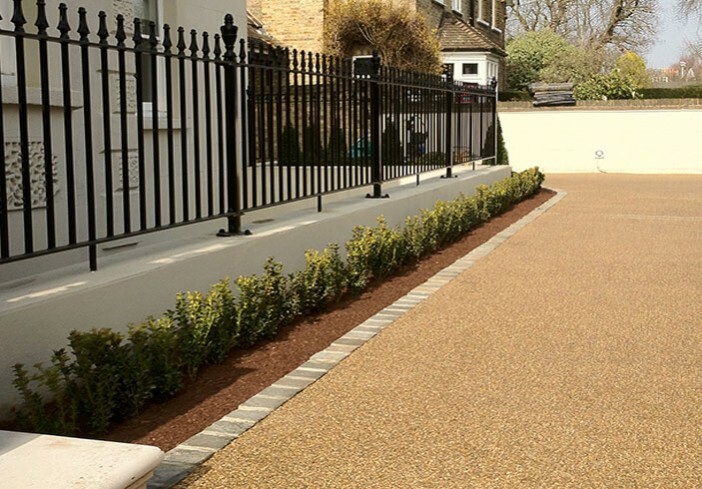 Design Service: Design drive layout, produce planting plan and planting by Clearstone. 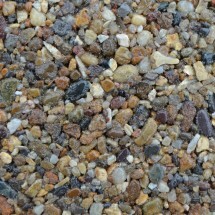 Area: Installed area 335m2, laid at a thickness of 18mm.